It has just been discovered that the youtradeFX group has launched a new Australian binary options brand tonight. Earlier this evening the group’s global websites suffered an outage for about three hours due to maintenance work on the servers that we now know was probably needed to launch the website of the new brand. 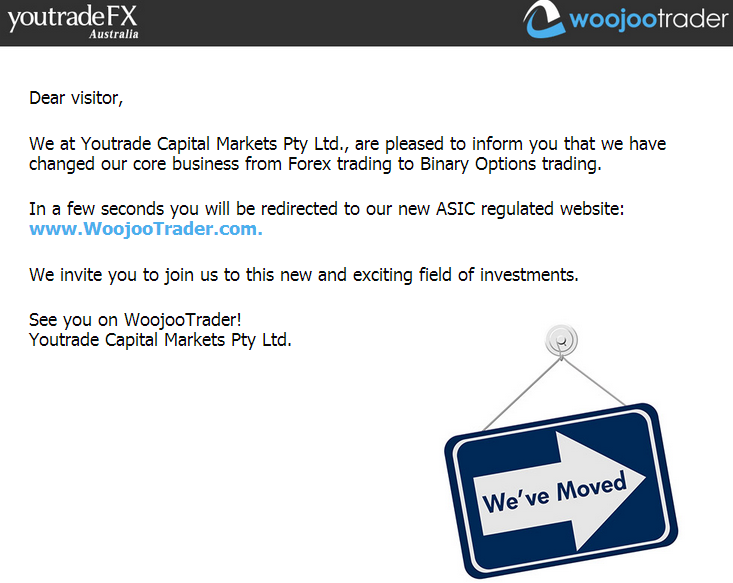 All online traffic to the Australian offshoot of the group (www.ytfx.com.au) is now directed to a new binary options brand called Woojoo Trader. According to the website of the firm, the new brokerage is regulated by the Australian Securities & Investments Commission (ASIC) and powered by the platform of leading binary developer, SpotOption. The fact that the group is trying to launch another broker brand in Australia is a bit odd one might say, as only last month, Ava Capital Markets Australia acquired the Australian client book of youtradeFX. According to the terms of the deal, youtradeFX clients under the broker’s Australian regulation were assumed by AvaTrade. As part of the transfer, former ytfx customers have gained access to trading with AvaTrade’s wider selection of platforms, including AvaTrade’s binary options with which new WoojooTrader brand is now in direct competition. One wonders if AvaTrade did not include a clause in the deal preventing future competition regarding clients. 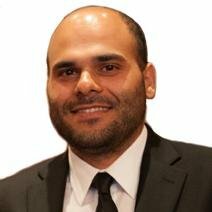 At the time, youtradeFX presented the deal as part of consolidation efforts around its Cyprus license, which seems unlikely right now.